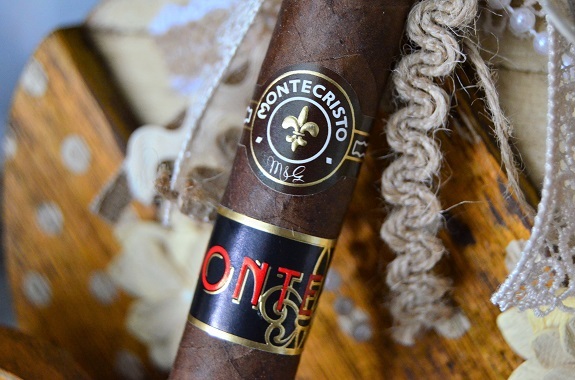 If someone is talking about the Montecristo brand this year, it more than likely they are talking about the new Monte by Montecristo AJ Fernandez. 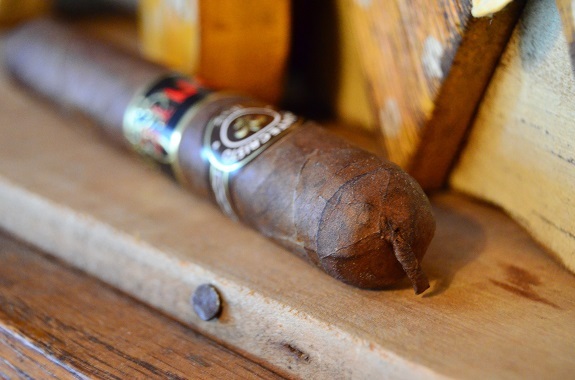 Like all cigars that AJ has his hands in, the new Monte has certainly created a lot of buzz. 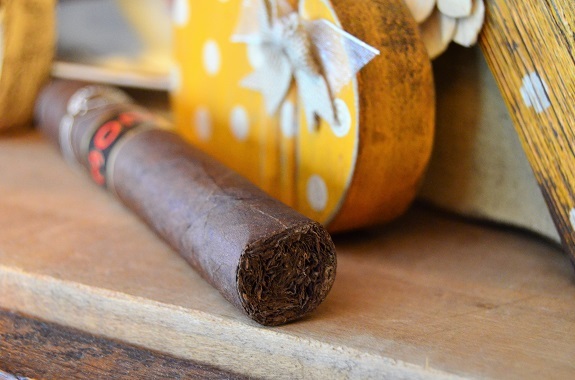 But, since we have not reviewed the original Monte here on Casas Fumando, I figured I would get a review of the original up before Tony or Jeff take a stab at the latest edition to the line. The original Monte by Montecristo was first introduced in 2013 as a full-bodied departure from the more traditional, milder Montecristo cigars. The cigar features an Ecuadorian Habano wrapper over dual binders of Dominican Olor and Nicaraguan Corojo tobaccos. 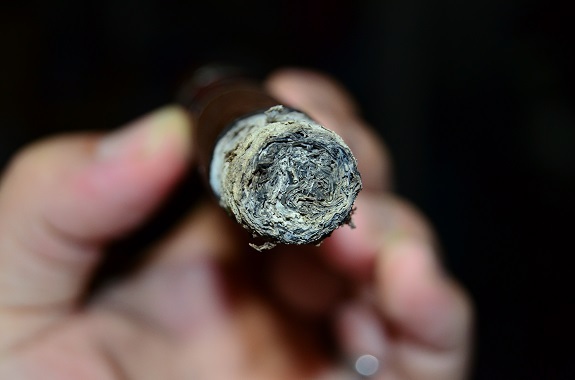 The filler tobaccos are derived from the Dominican Republic. Manufactured at Tabacalera De Garcia, three vitolas are available in the original Monte line to include Conde (5 ½ by 48), Jacopo No. 2 (6 ⅛ by 54), and Monte (6 by 60). You can purchase the Monte by Montecristo from our good friends at Famous Smoke Shop. The Monte by Montecristo Conde is dressed in a milk chocolate Ecuadorian Habano wrapper that has a nice oily sheen. There is a good amount of veins and bumps on the leaf and the cigar is rolled evenly and firmly from head to foot. There is an aroma of barnyard and chocolate on the wrapper, while a generic wood flavor and chocolate come across from the foot. The cigar comes to an end with a small pig-tailed cap. There is chocolate and potpourri spices on the cold draw that is a bit firm and a spice tingle lingers on my lips. The Monte Conde comes out of the gate with thick flavors on the palate. The flavors are on the darker end spectrum including notes of coffee, pencil shavings, and charred wood. These flavors are being complimented by a natural tobacco sweetness and sour grapefruit flavor. The spice is tame at this point with only a mild spice heat felt in my mouth. The cigar is burning evenly as a white ash forms. 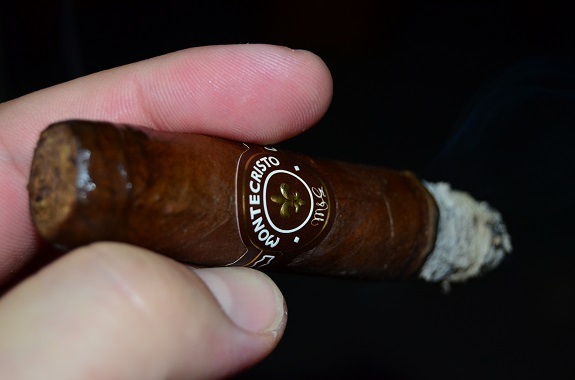 The Monte by Montecristo is burning along well producing a satisfying amount of smoke. Coffee and charred wood remain and a new yeast joins in. There is still the contrasting sweetness that has stepped up a notch and that interesting sour grapefruit is still hanging around. The smoke is even more chewy and thick than it was at the start. As I near the end of the second third, the burn is out of whack requiring a quick hit with my lighter. The charred wood has become the most dominant flavor as I enter the final third of the cigar. The spice heat has only moved up to medium in the mouth, but it is closer to full in the sinuses as I retro-hale the smoke. The sweetness has taken a backseat to the sourness and the pepper flavor is more defined than it was earlier. The Monte by Montecristo comes to close with no further burn problems. I will be the first to admit, Montecristo cigars don’t do a whole lot for me. But there is no doubt that Altadis USA is trying to keep the brand in step with today’s consumer seeking fuller bodied smokes. And while I wouldn’t classify the Monte by Montecristo as full-bodied, but more medium, the cigar was still intriguing and satisfying. The darker flavors were balanced out by the sweetness and even the sour grapefruit worked well. There was only a single burn issue over the 1 hour and 20 minute journey. 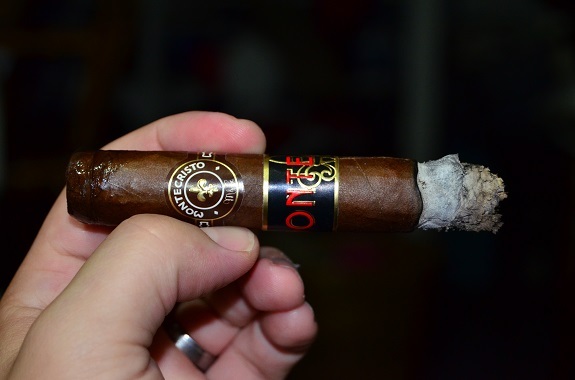 After this experience, I cannot wait to see where AJ has taken the Monte line with the Monte by Montecristo AJ Fernandez.